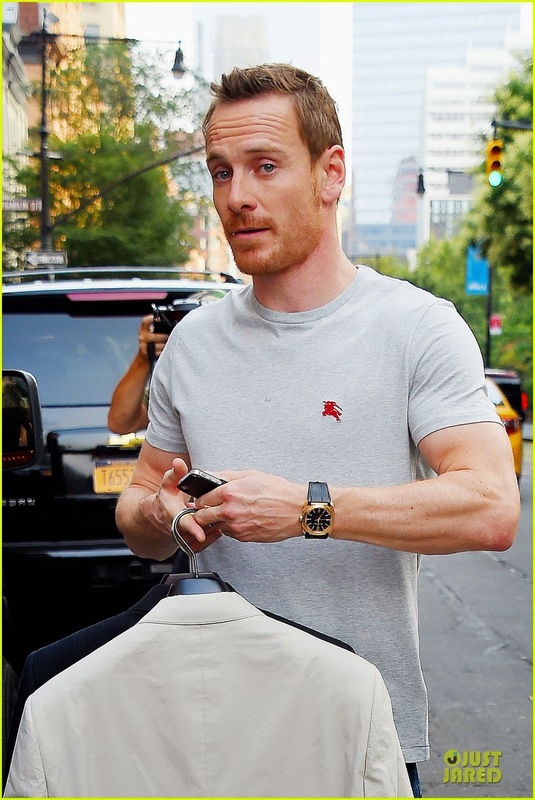 Fassinating Fassbender - A Michael Fassbender Fan Blog: Michael Fassbender Promotes Frank in NYC! 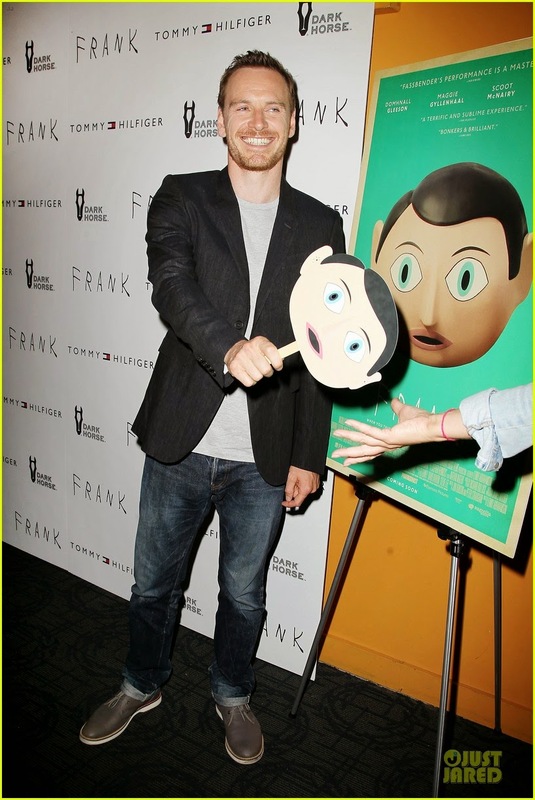 Michael Fassbender Promotes Frank in NYC! Well damn, I didn't see this coming! As Just Jared reports, Michael arrived in NYC Tuesday to support the premiere of Frank which opens in "select" theaters on August 22nd. I get nervous when I see "select theaters" because that means that I have to drive 40 miles to see it, or worse, wait another week or two for said film to bother to come to Michigan. I'm glad Michael is in the States promoting Frank. This is an incredible film; it's funny, but very sad and dark at the same time. I cannot wait to see it again! More pics and info at JJ. Hey Michael, I got one of those! And, I love Colbert, although I don't think I will watch him when he leaves to replace Letterman. Will have to put a timer on me to remember to watch. So very cool. And Simone! The Mask! So cool that some of us have one all thanks to Fassinating Fassbender! @Martha: the mask!!! hell yeah!!! It looks like he did some arm wrestling because they seemed bigger. And I totally agree @Vera..the shoes are cool!! It looks like the toothpic is back also. This is so awesome. Out of all the Fassy films I am excited for, Frank is at the top of my list. It's got a Wes Anderson vibe. Like the aquatic life of Steve zissou or the royal tenebaums. 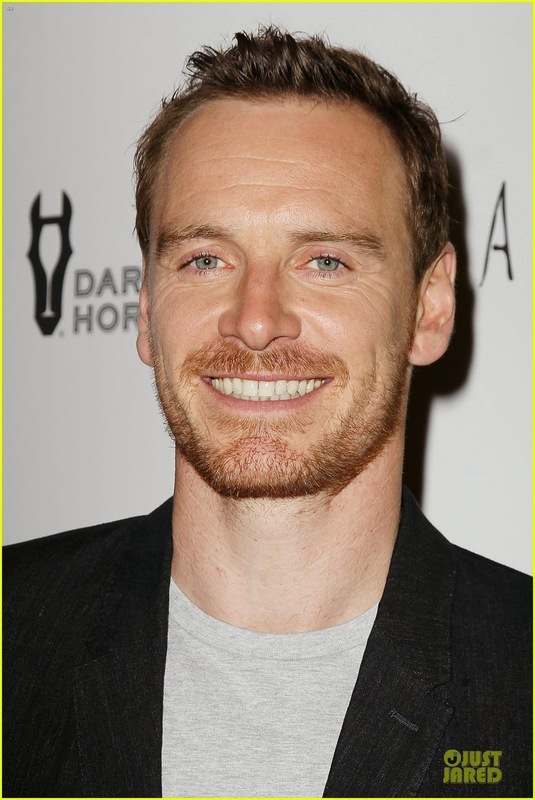 Michael Fassbender you rock. And we love you too ! You know he'll be on Seth Myers show tomorrow night right? @Marrilynn, no, I didn't know that. I'll keep an eye out on that video too. Thanks!